Weekends through December 24 – Gingerbread Jamboree at the EdVenture Children’s Museum. Children get the chance to meet with Santa and tell him what they want for Christmas. For more information call (803) 779-3100 or visit http://www.edventure.org/events/gingerbread-jamboree-at-edventure/?for=11-26-2017. Through December 23 & 26 – 30 – Lights Before Christmas at the Riverbanks Zoo and Garden. You will be totally mesmerized by the beautiful and amazing light displays at this favorite annual holiday event! For more information call (803) 779-8717 or visit https://www.riverbanks.org/events/lights-before-christmas.shtml. Through December 31 – Historic Holidays Tours at the Robert Mills House and Hampton Preston Mansion. Hear stories of Christmas’s in the past in Columbia and learn how they decorated and entertained during the holidays in the 19th and 20th centuries. For more information call (803) 252-1770 ext. 23 or visit http://www.historiccolumbia.org/events/historic-holiday-tours-beginning. Through December 31 – Holiday Lights on the River at Saluda Shoals Park. One of the areas favorite activities has returned so make plans to travel through the areas longest drive through light show, enjoy special activities each night (except Thanksgiving, Christmas, and Christmas Eve) and be sure to stop for some hot chocolate and roasted marshmallows to top off your evening! For more information call (803) 772-3903 or visit http://www.icrc.net/holiday-lights. November 29 – Holiday Market Preview Party at the Cantey and Goodman Buildings of the South Carolina State Fairgrounds. This black-tie optional event will give you the chance to do some private shopping, participate in a wonderful silent auction, enjoy music by one of the best DJ’s in town, cocktails, and tasty foods! For more information send an email to jlcholidaymarketchair@gmail.com or visit https://www.jlcolumbia.org/?nd=holiday_market_public. November 30 – December 3 – Holiday Market at the Cantey and Goodman Buildings at the South Carolina State Fairgrounds. Here is another chance to find that one of a kind holiday gift, with over 150 vendors on hand from all over the country, food vendors, and Sunday including a “Sundaes with Santa” event just for the kids that will include photos with Santa, games and crafts, and an ice cream sundae bar, so come out and support the work of this great organization! For more information send an email to jlcholidaymarketchair@gmail.com or visit https://www.jlcolumbia.org/?nd=holiday_market_public. November 30 – December 10 – “The Best Christmas Pageant Ever” at the Firehouse Theatre in Chapin. If you’ve never seen the story of the worst kids in town, the Herdman kids, being portrayed in the local Christmas pageant, this hilarious story will keep you in stitches while also warming your heart! For more information call (803) 240-8544 or visit http://www.chapintheatre.org/2017/best-christmas-pageant-ever.html#cast. December 1 – Starry Night in Five Points. Take a stroll through the Five Points stores, which will have special sales just for this event, while enjoying DJ spun holiday tunes, holiday dance and choral performances, face painting, and of course, a chance to visit with Santa! For more information call (803) 748-7373 or visit http://fivepointscolumbia.com/events/A-Starry-Night#gallery-event. December 1 – Caroling Along the Riverwalk at the Cayce Riverwalk Pavilion in Cayce. Several local church groups and local musicians will be spread out over the first half mile of the Riverwalk trail singing holiday tunes so you can take a scenic evening walk while enjoying the sounds of the holiday. For more information call (803) 359-6113 or visit http://www.lexingtonsc.org/community-event/caroling-along-the-riverwalk. December 1 – “Coffey” at the Nickelodeon Theater. A nurse’s sister has become the victim of inner city drug dealers, and she is out to stop them. For more information call (803) 254-8234 or visit http://nickelodeon.org/films/coffy/. December 1 – Carolina Christmas at the Farm with “Josh Turner” at the Music Farm. This multi-platinum recording Nashville artist will give you one amazing evening of country music with his beautiful baritone voice! For more information visit https://www.musicfarm.com/event/1578497-carolina-christmas-farm-columbia/. December 1 – Dutch Fork Choral Society presents “Messiah” at St. Mary’s Episcopal Church. This beautiful concert will most certainly get you in the proper holiday spirit! For more information call (803) 318-0488 or visit http://www.dutchforkchoralsociety.com/. December 1 – 3 – Snowball Festival in downtown Lexington. Start the weekend with a concert and carnival at Lexington Square Park that will include the tree lighting, hot chocolate, and s’mores, followed on Saturday with a movie at the Icehouse Amphitheater, and on Sunday the chance to enjoy the towns holiday Christmas parade on Main Street. For more information call (803) 356-8238 or visit http://www.lexingtonsc.org/community-event/snowball-festival. December 1 – 3 – “The Nutcracker” at the Koger Center for the Arts. This production presented by the Columbia Classical Ballet will warm your hearts for the holidays. For more information call (803) 777-7500 or visit http://www.kogercenterforthearts.com/event.php?id=524. December 1 – 10 – “T’was the Night” at On Stage Productions in the Old Mill in Lexington. This will be an evening filled with “music, stories, and traditions.” For more information call (803) 351-6751 or visit http://www.onstagesc.com/Shows.html. December 1 – 16 – “A Christmas Miracle at the Richland Fashion Mall” at the Trustus Theatre. The Theatre’s resident sketch comedy and improve troupe have created a story about our downtown mall that will be quiet for another holiday season, with their story being one that will have you laughing, singing, and just maybe warming your heart. For more information call (803) 254-9732 ext. 1 or visit http://trustus.org/event/christmasmiracle/. December 1 – 17 – “Miracle on 34th Street” at the Town Theatre. This heartwarming holiday musical is guaranteed to get even the most pessimistic Grinch in the spirit of the season! For more information call (803) 799-2510 or visit http://towntheatre.com/miracle-on-34th-street-the-musical/. December 2 – Holiday Craft Show at Cobblestone Park Golf Course in Blythewood. There will be over 35 vendors with handmade items including ties and purses, soaps and other bath products, wooden crafts, baked goods, and much more so plan to stop by to see what they have! For more information send an email to amichie@cobblestonesc.com or call (803) 714-2620. December 2 – Santa Market Craft Show and Storytime with Santa at Seven Oaks Park. Come out to the Park for a free holiday shopping opportunity where you will find crafts made by local artisans as well as other goodies from local vendors and drop the kids off where they’ll enjoy stories, treats, and fun while you shop. For more information call (803) 772-3336 or visit http://www.icrc.net/santas-market-craft-show-2017-12-02. December 2 – “Hey, Johnny Park! A Foo Fighters Tribute Band” at the Music Farm. If you missed seeing the main band live in concert, this will give you a chance to enjoy all their favorite songs as you celebrate the coming holiday break! For more information visit https://www.musicfarm.com/event/1561295-hey-johnny-park-foo-columbia/. December 2 – Christmas Traditions at the Cayce Historical Museum in Cayce. To celebrate the opening of the holiday season, learn about Cayce’s early history and take a Civil War lantern tour of the grounds, while enjoying living history vignettes, refreshments and live entertainment. For more information call (803) 739-5385 or visit https://www.facebook.com/events/1855202878126390/. December 2 – Monthly Gospel Singing at the Midlands Gospel Center in Gilbert. Enjoy music this month by The Shireys and the Beulah Land Quartet so come and enjoy an evening out. For more information call (803) 719-1289 or visit https://www.midgsc.com/concerts. 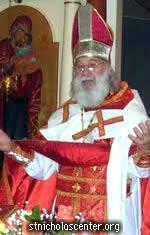 December 2 – St. Nicholas Festival at Holy Apostles Orthodox Church. If you’ve never attended this event, be sure to attend and learn the history of the real St. Nicholas while enjoying freshly made hot coffee, cookies, Russian foods, fun activities for the kids, and vendors to shop with! For more information call (803) 926-8744 or visit http://stnicholasfestival.org/. December 2 – Carillon Holiday Parade starting at Bull and Gervais Streets. There is still time for those who wish to participate in the parade to apply and for the rest of you, be sure to come out and enjoy this fun holiday event that showcases some of the amazing creativity and talent we have in the area, and of course, to see Santa! For more information call (803) 545-3100 or visit http://www.carolinacarillon.com/. December 2 – 3 – Bookbinding and Marbling Workshop at the Columbia Museum of Art. This class is devoted to the traditional art of bookbinding and marbling paper with the chance to create your own “book”. For more information call (803) 799-2810 or visit https://www.columbiamuseum.org/events/bookbinding-and-marbling-workshop-0. December 2 – 10 – “The Best Christmas Pageant Ever: The Musical” at the Columbia Children’s Theatre. Our local children have put on this show that will not only amaze you with their talent, but also have you laughing and warming your heart just in time for the holiday! For more information call (803) 691-4548 or visit http://www.columbiachildrenstheatre.com/season-at-a-glance/. December 2 – 15 – “Heros of Ancient Greece” at the Columbia Marionette Theatre. Join the Protector of the Forest as he shares the most famous stories of Greek Mythology! For more information call (803) 252-7366 or visit https://cmtpuppet.org/shows/legends-of-ancient-greece/. December 3 – Home for the Holidays Tour of Homes in the historic Shandon and Hollywood-Rose Hill neighborhoods. Here is a chance to see some of the nicest homes in the area beautifully decorated for the holidays. 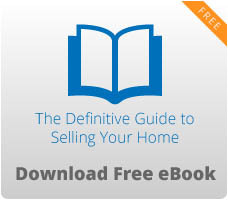 For more information send an email to admin@homesfortheholidays-columbia.com or visit http://homesfortheholidays-columbia.com/. December 3 – PAALS Team Graduation at 300 Senate Street. This Palmetto Animals Assisted Life Services event will showcase the trained service dogs and their matched owner as they celebrate their graduation of success and where they tell their stories that will absolutely warm your heart, so don’t miss the chance to attend this free event in support of the work this wonderful organization does, as well as those who have benefited! For more information call (803) 788-7063 or visit https://www.paals.org/graduation/. December 4 – Sustainable Holiday Market at the 701 Gallery on Whaley Street. This event will include over 60 local artisans and 5 local food vendors, providing you with an evening to shop with local artisans and food vendors all in one place, and the chance to sample signature dishes from local restaurants. For more information call (803) 740-4302 or visit https://sustainablemidlands.org/2017/09/28/sustainable-holiday-market/. December 4 – USC Symphony Orchestra: “Famous Last Words” at the Koger Center for the Arts. Phillip Bush will perform on the piano with works presented being Bartok: Piano Concerto #3 in E minor and Tchaikovsky: Symphony #6 in B minor, op. 74 “Pathetique” with both being “some of the most beautiful music either ever composed” so come out and support these talented musicians. For more information call (803) 777-7500 or visit http://kogercenterforthearts.com/event.php?id=421. December 4 – “Home Alone” at the Nickelodeon Theater. Here is a story that includes all our childhood fantasies and fears and will have you laughing until you cry in this holiday classic! For more information call (803) 254-8234 or visit http://nickelodeon.org/films/home-alone/. December 4 – Harvest Dinner at City Roots. Here is a chance to enjoy a family style four course meal using fresh seasonal ingredients from local farmers and artisans prepared by the executive chef from Bourbon that will include a cocktail and wine pairings. For more information call (803) 254-2302 or visit http://www.cityroots.org/events-calendar/2016/12/5/x4bd88q14l9j6i5hkynworalpnklfo. December 6 – “Joe Bonamassa” at the Township Auditorium. If you’ve never seen this tremendous musician and you enjoy bluesy rock, you won’t want to miss seeing this show! For more information call (803) 576-2350 or visit http://www.thetownship.org/events/. December 6 – “Hearts and Minds” at the Nickelodeon Theater. This is a historical and cultural film depicting a “definitive account” of the Vietnam War. For more information call (803) 254-8234 or visit http://nickelodeon.org/films/hearts-and-minds/. December 7 – “The Great Xscape Tour” at the Colonial Life Arena. One of the most beloved R&B groups are coming to town which includes Kandi Burris-Tucker, Tameka “Tiny” Harris, and LaTocha & Tamika Scott and they will be joined by several special guests, so come out for a great night of entertainment and fun! For more information call (803) 576-9200 or visit https://www.coloniallifearena.com/the-great-xscape-tour.php?eventid=134. December 7 – “Luke Combs” at the Township Auditorium. This new country singer/songwriter is an up and coming artist likely to end up on the charts, so see him and decide for yourself! For more information call (803) 576-2350 or visit http://www.thetownship.org/events/. December 7 – 9 – Bojangles Basketball Bash at Ridgeview High School. If you like basketball, you won’t want to miss the chance to see some of the best high school basketball teams in action! For more information visit http://bojanglesbash.com/. December 8 – 9 – “The Two Claras” at the Harbison Theatre. Presented by the Columbia City Jazz Company, this production, in its 10th year, is an annual event you won’t want to miss! For more information call (803) 407-5011 or visit https://www.harbisontheatre.org/tickets-productions/two-claras-1. December 8 – 10 – “The Christmas Pageant” at the First Baptist Church of Columbia. In its 30th year, this is one of the areas favorite holiday events, bringing people from all across the State to see. For more information visit http://fbccola.com/christmaspageant/. December 8 – 10 – “Singing Christmas Tree” at Shandon Baptist Church. One of the holidays favorite performances guaranteed to get you in the holiday spirit! For more information visit http://www.shandon.org/event/1026747-2017-12-08-the-singing-christmas-tree/. December 8 – 17 – “The Best Christmas Pageant Ever” at the Village Square Theatre. This classic tale of “the worst kids in the world” being cast in the local pageant will make you laugh while warming your heart, so come out and support our local kids performing in this show! For more information call (803) 359-1436 or visit http://www.villagesquaretheatre.com/season.html. December 9 – Christmas Sampler Craft Show & Christmas Peddler Craft Show at the Lexington Leisure Center. The holiday is closing in, so don’t miss the opportunity to work on your Christmas list while enjoying entertainment and the chance to win door prizes, and bring a canned good or two to help Meals on Wheels. For more information call (803) 359-4048 or visit http://www.lcrac.com/Default.aspx?tabid=369225. December 9 – Festivals of Sharing at the EdVenture Children’s Museum. Children will have the chance to learn about the Season of Giving by celebrating their own and other’s holiday traditions through performances, hands-on activities, story time, and information tables. For more information call (803) 779-3100 or visit http://www.edventure.org/events/festivals-of-sharing/?for=12-09-2017. December 9 – “Satisfaction – The International Rolling Stones Show” at the Music Farm. Having been doing their show now for 15 years, this band has been dubbed “one of the best tribute shows in the world” by Rolling Stone magazine so don’t miss this opportunity to enjoy an evening of good ole’ rock and roll of the best kind! For more information visit https://www.musicfarm.com/event/1572702-satisfaction-international-columbia/. December 9 – Holiday Parade of Lights starting at 1800 12th Street in Cayce and moving toward Highway 1 in West Columbia. This is one of the areas favorite holiday events so bring a chair, maybe a blanket, and of course, the whole family and enjoy an evening of holiday fun! For more information call (803) 794-6504 or visit http://www.cwcchamber.com/holiday-parade-of-lights.html. December 9 – Breakfast with Santa at Dave and Buster’s on Columbiana Circle. Here is a chance for the kids to have breakfast with Santa, and it’s a wonderful breakfast, with a balloon artist available, a coloring station, and plenty of photo opportunities, so bring your camera! For more information call (803) 576-4806 or visit https://ticketbud.com/events/3cbcc8b6-b9c1-11e7-adbb-af7bd531915e. December 9 – 10 & 16 – 17 – “The Nutcracker” at the Koger Center for the Arts. This presentation by the Columbia City Ballet will give you another chance to see this traditional holiday classic and support these talented dancers! For more information call (803) 777-7500 or visit http://www.kogercenterforthearts.com/event.php?id=446. December 10 – “Little Women” at the Nickelodeon Theater. Based on the beloved novel by Louisa May Alcott, this story of three sisters who support each other while their father is off at war, obtain their education, seek careers, and find love through their confrontation of 19th century restrictions placed on women and is one every mother and daughter should see. For more information call (803) 254-8234 or visit http://nickelodeon.org/films/little-women/. December 10 – Crafty Feast at the Columbia Metropolitan Convention Center. This is the areas juried indie craft fair with some of the most unique handmade items from over 100 vendors from around the Southeast, so don’t miss this opportunity to work on completing your holiday shopping while sipping on Mimosas, craft beer, and wine, and enjoying music by “DJ Dr. P”, Scott Padgett. For more information call (443) 801-1171 or visit http://www.craftyfeast.com/. December 11 – “Edward Scissorhands” at the Nickelodeon Theater. One of Tim Burton’s most beloved films is the story of a half-completed animated human whose “sharp” exterior doesn’t match his soft heart. For more information call (803) 254-8234 or visit http://nickelodeon.org/films/edward-scissorhands/. December 12 – “Mark Rapp’s Jingle Bell Jazz” at the Trustus Theatre. Mark Rapp, celebrated jazz trumpeter, and his quartet will provide you with an evening of “grooving, swinging, funky” Christmas music to lift your spirits and leaving you ready for the approaching holiday. For more information call (803) 254-9732 ext. 1 or visit http://trustus.org/event/mark-rapps-jingle-bell-jazz-2/. December 13 – 15 – “A Simple Little Christmas” at On-Stage Production at the Old Mill in Lexington. This performance is put on by The Misfit Players, so come out and support them, with special guest each evening! For more information call (803) 351-6751 or visit http://www.onstagesc.com/Shows.html. December 15 – Yule Jam at the Music Farm. This is a benefit concert that helps Palmetto Projects “Families Helping Families” so come out and support the kids who wouldn’t have a Christmas without the help of others. For more information visit https://www.musicfarm.com/event/1588185-yule-jam-2017-columbia/. December 15 – “Soulful Sounds of Christmas” at the Township Auditorium. This event featuring Will Downing, Avery Sunshine, and Alex Bugnon will fill you with the Christmas joy through their holiday songs. For more information call (803) 576-2350 or visit http://www.thetownship.org/events/. December 15 – Candlelight Tours & Carriage Rides at the Robert Mills House and the Hampton-Preston Mansion. Take a candlelight tour of these beautiful historic homes decorated for the holidays followed by a carriage ride through the Robert Mills historic district and don’t forget to stop by the Robert Hills House gift shop for refreshments, holiday music, and giveaways! For more information call (803) 252-1770 ext. 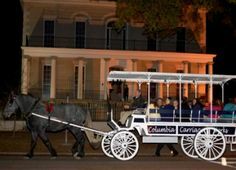 23 or visit https://www.historiccolumbia.org/events/candlelight-tours-carriage-rides. December 15 – 16 – “The Christmas Angel” at the Harbison Theatre. Local artist Gabrielle Celeste created this production that is magical and beautifully choreographed, and if you haven’t seen it before, you certainly should take the time this holiday season as you will not be disappointed! For more information call (803) 407-5011 or visit https://www.harbisontheatre.org/tickets-productions/christmas-angel-%C2%A9-0. December 16 – Candy Cane Hunt at Crooked Creek Park in Chapin. The kids are getting restless, so bring them out to see how many candy canes they can find that Santa and his elves have hidden with some surprise candy canes included, and if you bring one unwrapped toy for a child in need, you can decorate a cupcake! For more information call (803) 345-6181 or visit http://www.icrc.net/candy-cane-hunt-2017-12-16. December 16 – Breakfast with Santa at the Robert Mills Carriage House. Bring the kids out for a continental breakfast with Santa while enjoying holiday music, then head to the Hampton-Preston Mansion to see the beautifully decorated halls, see a Victorian Christmas tree, make a craft to take home, and of course, get pictures with the Victorian Santa! For more information call (803) 252-1770 ext. 23 or visit https://www.historiccolumbia.org/events/breakfast-with-santa. December 16 – “Taylor Boy’s Christmas Extravaganza” at the Music Farm. For more information visit https://www.musicfarm.com/event/1561033-taylor-boys-x-mas-extravaganza-columbia/. December 16 – Harbor Side Lights 5K at the Jeep Rogers Family YMCA. This is a 5K run/walk and a Kids Fun Run so come out and support the work this amazing organization does and the scholarships it provides to those in need. For more information call (803) 748-9622 ext. 130 or visit https://racesonline.com/events/harborside-lights-5k. December 16 – “Janet Jackson” at the Colonial Life Arena. She is finally coming to Columbia, so don’t miss out on the chance to see this amazingly talented artist live! For more information call (803) 576-9200 or visit https://www.coloniallifearena.com/janet-jackson.php?eventid=139. December 16 – “Michael Carbonaro Live!” at the Township Auditorium. This fabulous show will have you mesmerized and highly entertained from beginning to end with his illusions, creativity, and audience interaction that will have the whole auditorium filled with laughter! For more information call (803) 576-2350 or visit http://www.thetownship.org/events/. December 16 – January 1 – Jingle Days at the South Carolina State Museum. The kids are out of school so here is a chance for them to have some fun with crafts, games, a holiday scavenger hunt, learn about holidays from around the world, and a chance to meet with Santa. For more information call (803) 898-4921 or visit http://scmuseum.org/calendar/jingle-days-state-museum/. December 17 – Trustus Theatre Holiday Party at the Trustus Theatre. This event is in honor or members and patrons who support the Theatre with an evening filled with food, entertainment, a cash bar, and awards. For more information call (803) 254-9732 ext. 1 or visit http://trustus.org/event/holiday-party/. December 17 – 18 – “It’s a Wonderful Life” at the Nickelodeon Theater. No Christmas holiday is complete without this historical and heart-warming story of a man who is filled with generosity and kindness in spite of major life challenges. For more information call (803) 254-8234 or visit http://nickelodeon.org/films/its-a-wonderful-life-2/. December 19 – 20 – “A Christmas Story – The Musical” at the Koger Center for the Arts. This performance, based on the 1983 movie, will definitely bring a smile to your face and is sure to get you in the true Christmas spirit! For more information call (803) 777-7500 or visit http://www.kogercenterforthearts.com/event.php?id=519.